Mary's Slickrock Trail is a short technical route through a portion of the slickrock domes that lie to the South/East of White Wash Sand Dunes. The best way to travel this trail seems to be from West to East although it can be traveled in either direction and I have often taken the lower(West) half from Brian's as fairly easy and quick route back to camp. This section is less difficult East to West. 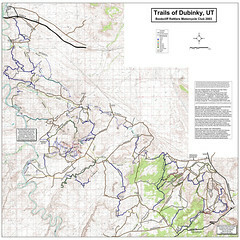 This trail does have some difficult sections however, especially if you have not done this type of riding before. The slickrock gives excellent traction, but it can be intimidating. 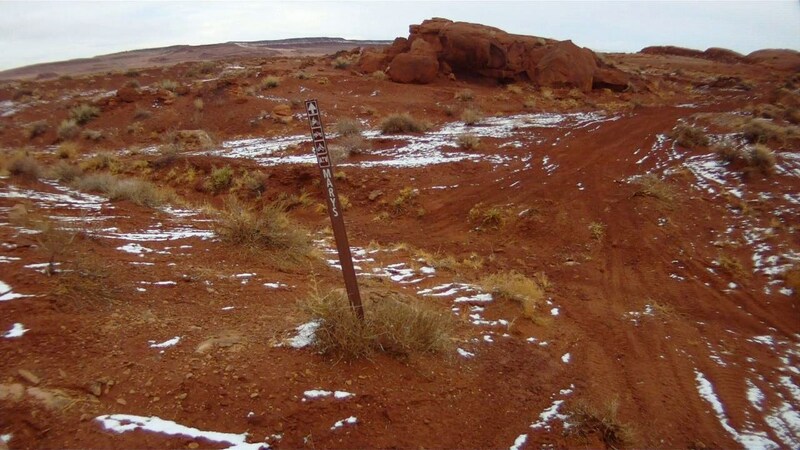 From the West you will travel past the marked trail head and ride on hard pack sand mixed with slickrock for approximately 2000ft until you come to the first real challenge. This first climb is a good indication of what is to come. Follow the white lines up the slickrock to the right and the fun begins. Once you reach the Brian's Trail junction, there is an easy way out if you take the trail to the South. Mary's trail continues SE up a steep tilting slickrock hill. This climb is harder than anything else to this point so if you've had problems take a close look before proceeding. 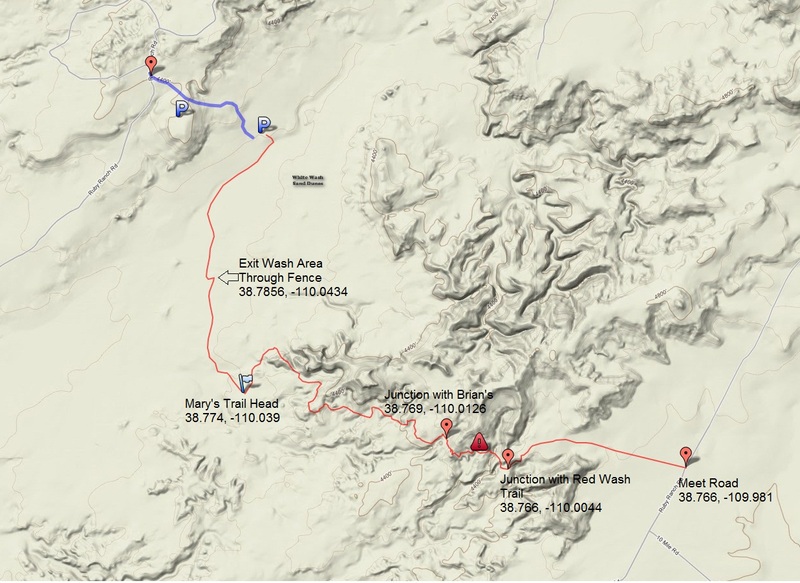 The trail that travels from here to the Red Wash Trail junction is the most difficult section. There is one very steep climb(pictured below) and the trail is generally more technical and harder to navigate. If you like this kind of riding then this is the best section of the trail. It is short however and can be over quick. At the Red Wash junction the trail is easy heading out to the road. 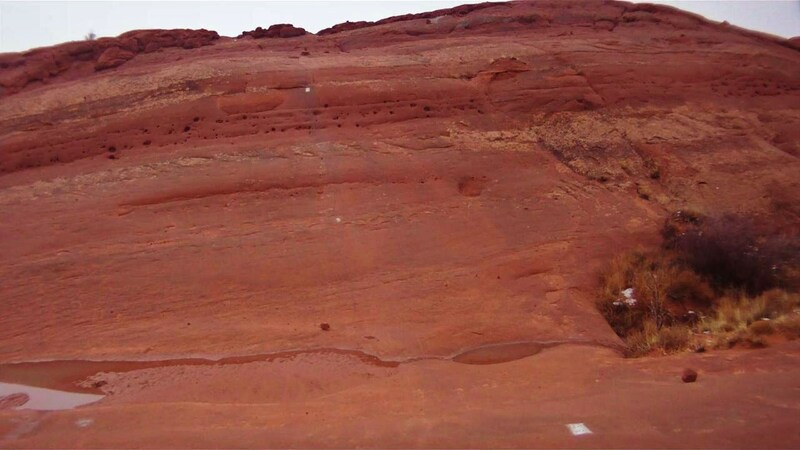 From the road you may wish to simply head back the same way to get more of the fun riding, or you can take the return route on the road or another trail such as Red Wash or Red Slot. 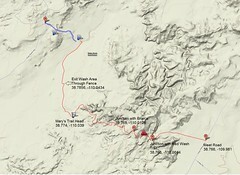 Location: White Wash Sand Dunes, between Green River and Moab (see map). Click for Directions To White Wash Sand Dunes from your location. White Wash Sand Dunes is a fun place to camp and freeride. The dunes to the East of the parking areas is an open play area, outside of the dunes however, you must stay on designated trails. 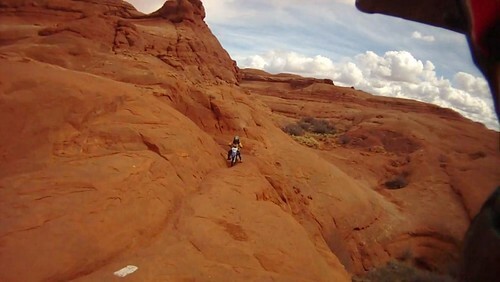 The slickrock domes in and around the dunes are generally open to free ride. To reach Mary's trail you must travel SW down the wash and through the opening in the fence that exits the dunes. 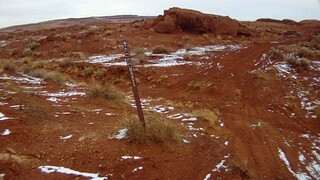 The trail head sign is on the left along this trail as shown on the map. 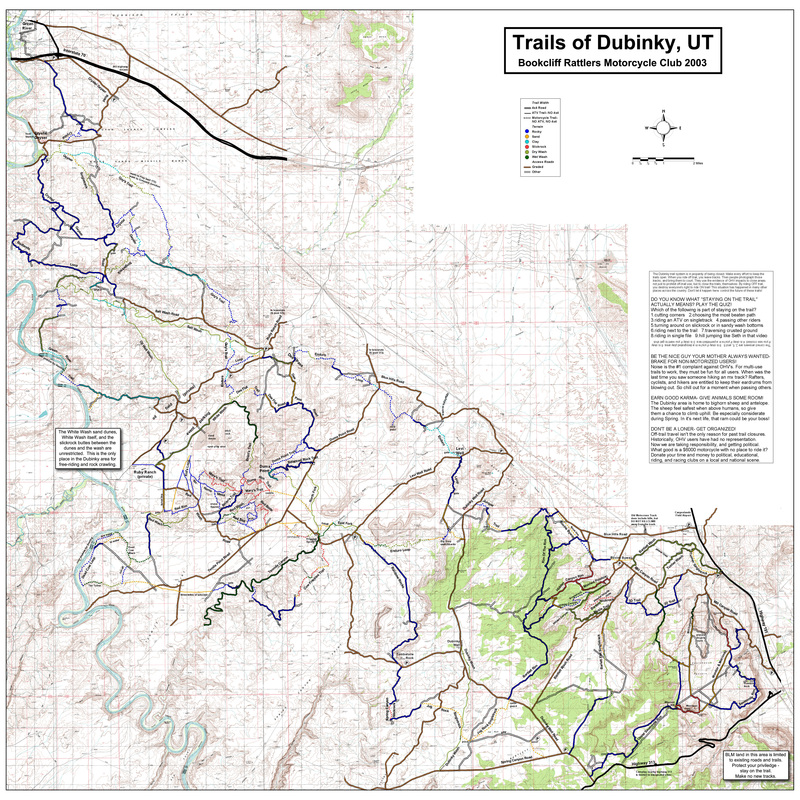 A gps is useful to find the trail head, but once on the trail the white lines are fairly easy to follow.